As people across the world watch the 2016 United States presidential campaign, they witness the division and ultimately a culture change evolving in our nation. We have more choices to express our opinions, but less tolerance for the opinions of others. We have more passion, but less compassion. We have more speed, but less self-control. We want even more freedoms but are unwilling to take responsibility. These changes contribute to the spiral down effect of incivility, disrespect and violence. Behaviors and language that used to be considered uncivilized and unacceptable seemingly have become the norm. It’s not unusual to see social media threads full of vulgarity, verbal assaults, name-calling and other irresponsible language when people disagree with each other’s political views. The danger we all face is becoming desensitized and as a result unwittingly becoming part of the cultural decline toward incivility and violence. The root is thought, the stem is behavior, and the bloom is culture. Big cultural shifts start in the invisible and grow from a small seed. Violent thoughts lead to violent words. Violent words lead to violent behaviors. Violent behaviors lead to a violent culture. The root is thought, the stem is behavior, and the bloom is culture. 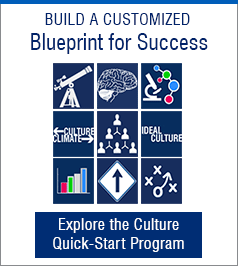 As a leader, whether you are a department supervisor, director, executive or owner you have a unique opportunity to shift the national culture back to civility, respect, and personal responsibility by embracing and embodying personal responsibility in your area of control. A culture of responsibility starts with the decision to practice responsible language, rather than a decision to change culture. If you think the business problem is the behavior, my advice is to go back, and listen to the language. From there you have the most power to course-correct before the behaviors manifest. Language is the area where leaders have the most ability to recognize and change to create a culture of personal responsibility. I have developed a definition of responsibility that is distinct from accountability yet lays the framework for accountability to be effective. Responsibility is first the recognition of choice; second, the ownership of the choice; and third, the willingness to accept the consequence of the choice. The distinction I make between responsibility and accountability is that responsibility is about ownership, and accountability is about measurement. Responsibility is of the heart, and accountability of the head. Before accountability is possible there must be full ownership. A person’s level of personal responsibility is revealed by listening to the language. Responsible language has four core components: Absence of blame; forward moving, empowered, and respectful. A common myth is that only front line employees gossip and blame, but I can tell you as a consultant who works with owners and executives this simply is not so. I have conducted 360 evaluations and listened to executives blame each other for the business problems yet neither of them were willing to sit down and have a mediated dialogue. I have heard managers say, “I’ve told my employee a thousand times to do XYZ” without considering that the problem may be their ineffective leadership or inability to hold their employees accountable. Blame is everywhere. We see it on social media. We see blame from our political leaders. We see blame in our workplaces. Until we accept the role we play and see the choices available we continue to energize this non-productive pattern that inhibits growth. Responsible language is forward moving with a focus on the vision. As a leader you cannot afford to get distracted into long-winded conversations about how it used to be, or who did something wrong a decade ago. The only two reasons to talk about the past is to reminisce, or learn. 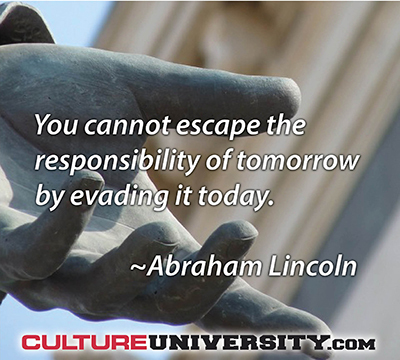 To use the past as a way to escape the choices we have in the now wastes time, and contributes to a culture of blame. Complaining is always a sign of disempowerment. The experience of disempowerment leads to justifying bad behaviors. For example, “I had to steal because I didn’t get a raise, and I had no other choice.” People complain for only two real reasons: Either they don’t know what they want, or they know what they want but don’t think they have the power to get it. Empowerment is about recognizing choices rather than complaining about circumstances. Reactive language always causes relationship drama. Reactive language ranges from sarcasm, innuendo, all the way to verbal abuse. A good way to know if the language is respectful in your workplace is by the ability to answer this question: Does this language build a barrier or a bridge? Respectful language is about building bridges. Almost all workplace drama could be eliminated if human beings were more respectful of each other. We have a unique opportunity as leaders to embrace and embody the ideal of personal responsibility. I believe that there is no better time in history for leaders at every level to take a stand for the purpose of shifting our national culture back to civility, respect, and order. What are your thoughts on this? Are you responsible in your language, or is it time to course-correct? I welcome your comments on social media.